Ranelagh provides an excellent education for all of its students, preparing them well for their futures and for life in modern Britain. The excellent leadership and management of the headteacher, senior and middle leaders and governors support everything that the school is achieving. Their high expectations have led to continued improvements in teaching and students’ achievement. This is a continually improving school. Students make outstanding progress. This means that they reach standards in their GCSE examinations that are significantly higher than the national average in a wide range of subjects. Students’ behaviour is exemplary in lessons and around the school. Students are keen to learn and relish the challenges that their teachers set. Their excellent attitudes to learning contribute strongly to their success. Students are polite, courteous and well mannered. They are always smartly dressed, have great pride in their school and look after it well. They get on well with each other whatever their backgrounds. Students are happy and feel very safe in school. The school’s procedures for keeping students safe are exemplary. Teachers in most subject areas use information about students’ performance to plan activities that are challenging, engaging and fun. This exemplary practice is not yet evident across every subject. Careers advice and guidance is well organised and effective. Students are encouraged to have high aspirations and to reflect on the impact of their education on their futures. Governors know the school very well indeed and have an accurate view of students’ achievement and the quality of teaching. Governors hold school leaders to account because of the impressive range of skills and experience that they have. 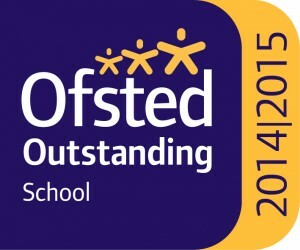 The sixth form is outstanding because it is led very effectively and because the quality of teaching that students receive each day is excellent. This means that students make outstanding progress in all aspects of their learning, are happy and confident and have high ambitions for themselves. Sixth formers mature into thoughtful, considerate young adults. They are very well prepared for the next stage of their education, training or work. The sixth form makes a strong contribution to the ethos of the school.